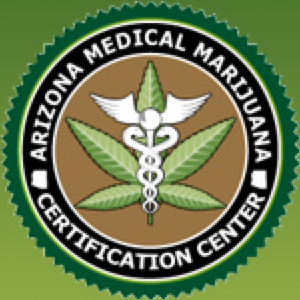 The primary mission of the Arizona Medical Marijuana Clinic is to provide the certification for qualified patients in Arizona. At the clinic you can expect to meet experienced and compassionate doctors, medical staff, attorneys and other support personnel who assist people just like you with medical marijuana information in full compliance with the State of Arizona medical marijuana laws. After receiving a physician’s review and approval, qualified patients receive a signed Physician Certification Form that allows them to apply for a Medical Marijuana Identification Card. At the Arizona Medical Marijuana Clinic, their mission is to provide safe, confidential and compassionate experience for qualifying patients while protecting their privacy and health information. They will always go an extra mile to make sure that each patient gets the information, support and care that they need and deserve. If you have any questions about the State of Arizona medical marijuana laws, how to obtain medical marijuana, the Clinic’s services and the certification process or medical marijuana information in general, don’t hesitate to contact them, at your convenience.